The most difficult part about Magic Kingdom was deciding as a group on what we wanted to do first. 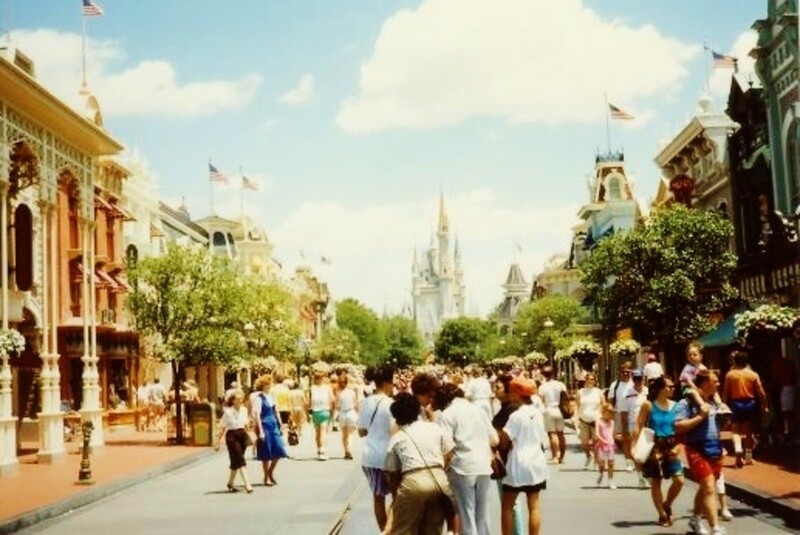 Many of us visited the many shops and venues when first entering the park, picking up drinks and candy for our day. 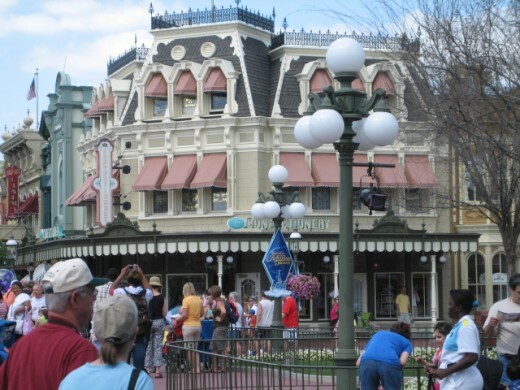 One of our favorite places we visited was Main Street Confectionary (please don't ask where this place is!). The Emporium is by far the largest gift shop on Main Street, as it covers 17,000 square feet taking up an entire block. There you'll find all sorts of hats and apparel, including the famous Mickey Mouse hat and balloons. 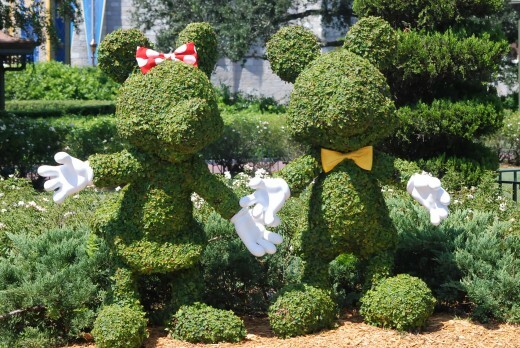 For more information, you can visit the official Walt Disney World Magic Kingdom Website for more information including a list of all the venues that will be available to you. Overall, we ended up just doing a little bit of everything and just our map and went in a full circle without a set game plan. I kept on having to stop to take as many pictures as possible while trying to capture all the magic Disney's Magic Kingdom had to offer. 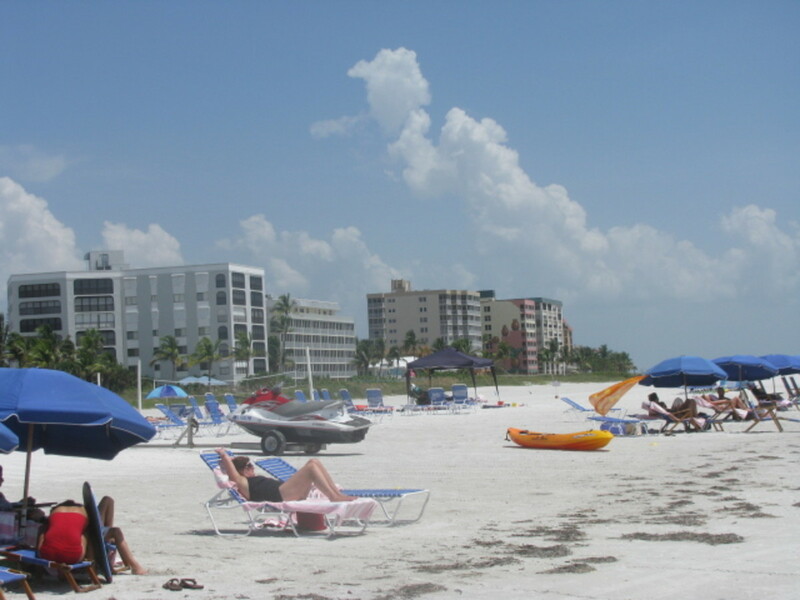 As you can imagine, walking all day long will cause members of your group or family to grow weary, grumpy and thirsty. If possible, bring lots of bottle water. I found that that freezing 16 or 20 oz. bottles of spring water and stuffing them into a backpack is a great way to not only save some money but also keep you hydrated and cool all day long. Make sure to take a breather too periodically. Please enjoy. Main Street, USA-Inspired by the small neighborhoods of Missouri and New England, Main Street, USA maintains a cozy feel. The best representation of this is the “four corners” area as each of the four corners is representative of a unique architectural style. Here, visitors can dine at one the many restaurants or peruse the many shops for souvenirs and even get a hair cut at its local barbershop! 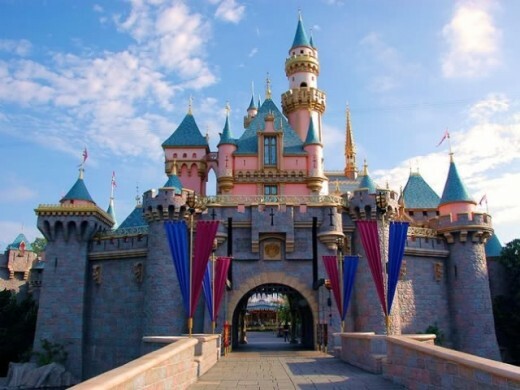 Worth noting is the early 20th Century décor that was inspired by Walt Disney’s childhood which in turn helped him to create movies such as Lady and the Tramp. 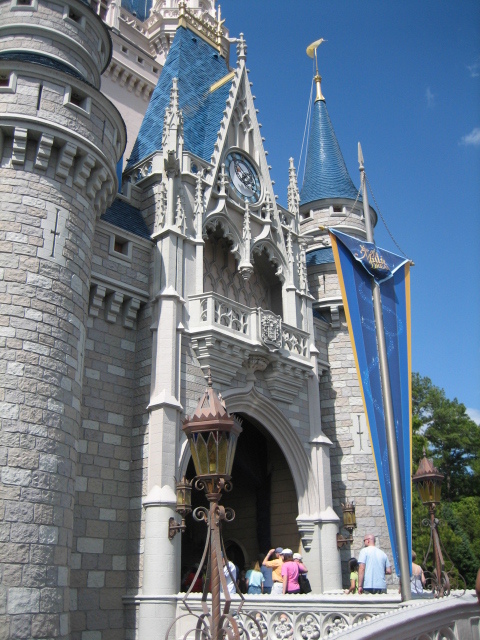 But the biggest attraction at Main Street , USA is Cinderella’s famous castle. 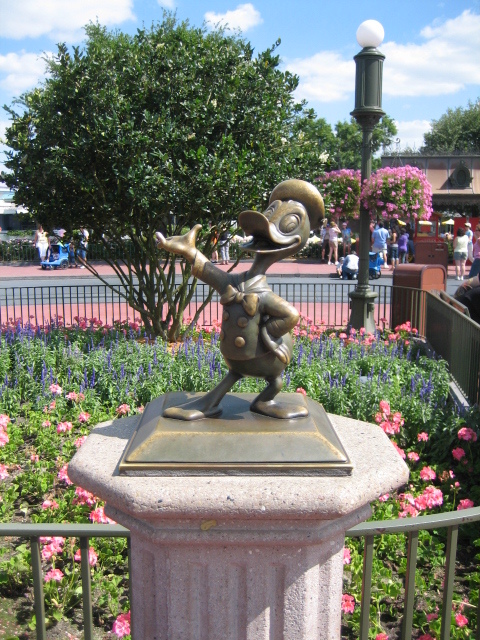 It is by far THE Disney icon, second only to Mickey himself, of course. 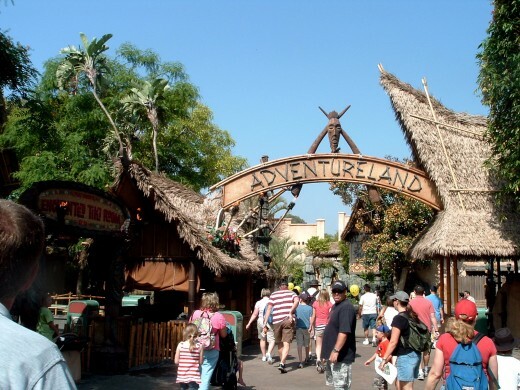 Adventureland-The designers of Adventureland focused primarily of bringing about the exploration of foreign lands to resemble the South Pacific, South America, the Middle East, Africa and Asia. 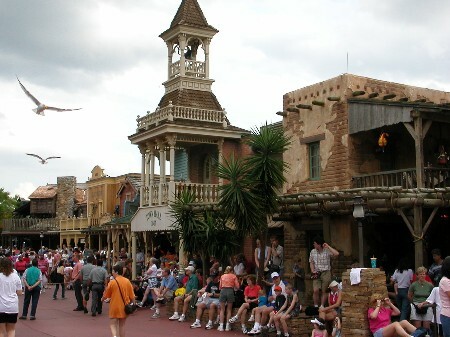 In addition to this, Adventureland also features the famous ride Pirates of the Caribbean with Captain Jack Sparrowwhich of course inspired the movie of the same name. Pirates of the Caribbean should by no means be missed. Frontierland-Frontierland is a blast to the past where visitors have the opportunity to relive the Wild West, featuring cowboys, Indians, and get to explore the Rivers of America much like Lewis and Clark. 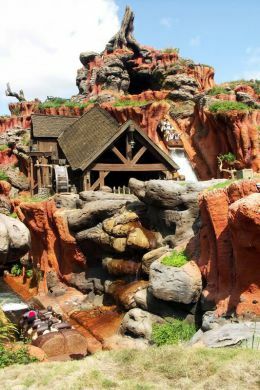 Frontierland features such attractions as Big Thunder Mountain Railroad, TomSawyerIsland, SplashMountain, and the Country Bear Jamboree. Liberty Square-Visitors here will get a chance to travel back to the time of the American Revolution and our countries origins. The MagicKingdom’s Rivers of America plays host to the Liberty Belle riverboat. 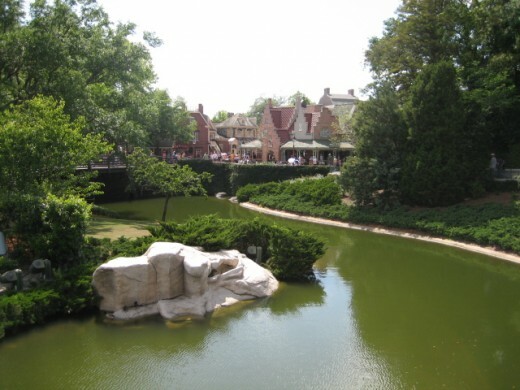 Liberty Square is square also features such attractions such as the HauntedMansion and the Hall of Presidents. 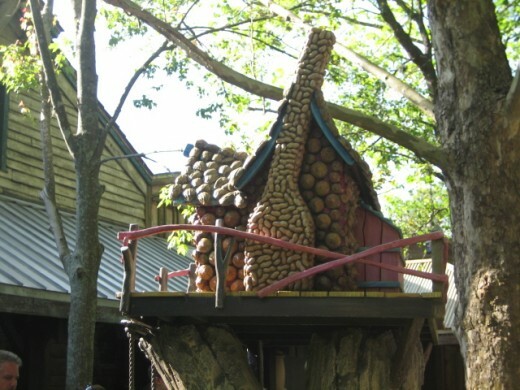 Fantasyland-Fantasyland includes such attractions as It’s a Small World, Peter Pan’s Flight, Dumbo the Flying Elephant, The Many Adventures of Winnie the Pooh, Mickey’s PhilharMagic, Snow White’s Scary Adventures, Cinderella’s Golden Carousel, and the Magic Tea Party. 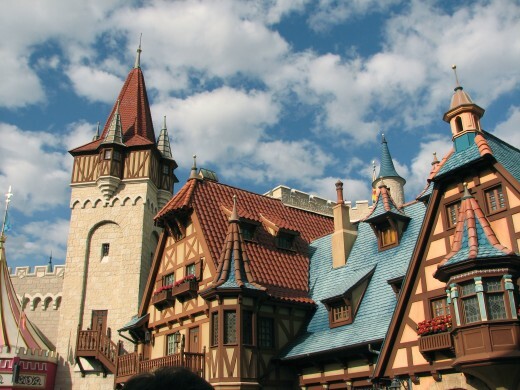 Walt Disney himself believed that, Fantasyland is dedicated to the young at heart and to those who believe that when you wish upon a star, your dreams come true." 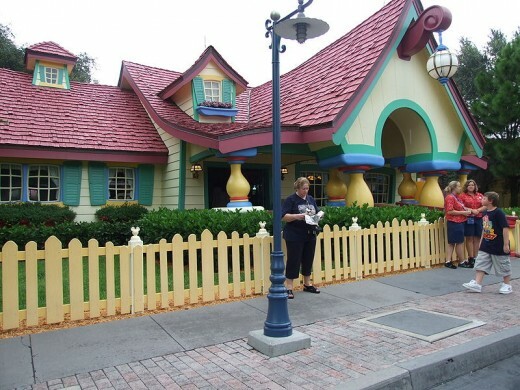 Mickey’s Toontown Fair-Mickey’s Toontown Fair first started out as Mickey’s birthdayland which then evolved into Mickey’s Starland, which included Mickey’s Country House, Minnie’s Country House, Goofy’s Barnstormer, and Donald’s Boat. 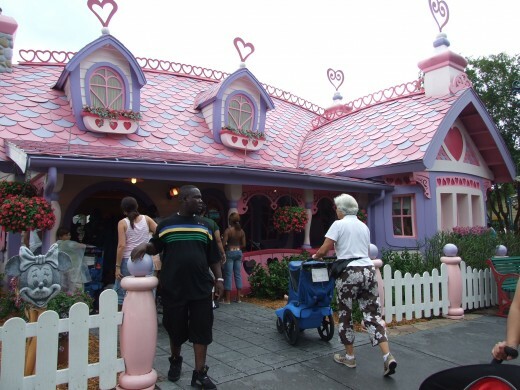 Both Mickey’s and Minnie’s Country Houses are walk thru attraction, by the way. 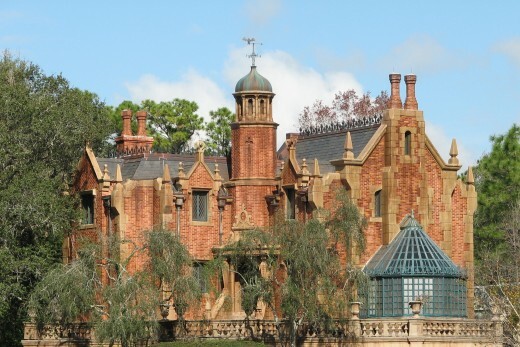 Scenes include Mickey’s bedroom, living room, kitchen, game room, garden and the garage. While walking through his garden you’ll be able to see Pluto’s Doghouse and you’ll meet Mickey himself in the judge’s tent. This show isn't going to be a refreshing break from coortmpneary cliches, I see. These characters look exactally like something off Total Drama Island! Tom Reugger is involved, so there's some hope; but not much. Sorry Thad, but I don't agree. 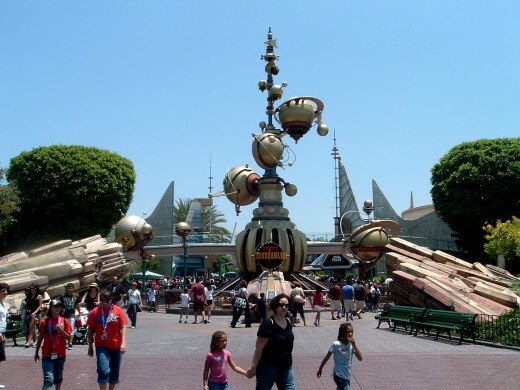 When Ron Miller and Card Walker were at the helm, Disney may have become more convvrsatiee and risk averse , but there was still the unmistakable Disney look and feel to everything they produced. I know you don't care much for Disney yourself, but for those of us that grew up loving Disney films the loss of that Disney "look" is extremely disheartening. I think you know very well that I'm specifically criticizing the way Eisner and Iger have forsaken the Disney in-house look and gone for all of these very unDisneylike shows and movies, indistinguishable from everybody else's product. Let's be honest - you WB fans were aghast at what they did to the Looney Tunes characters when they did that idiotic "Loonatics Unleashed" show, as well you should be. I see this revisionist approach to The Seven Dwarfs as being just as bad as that. Thanks for that dmdiaz! I wholeheartedly agree. Thanks for reading and commenting Shane. You know, I actually inadvertently took your idea as my family started at Magical Kingdom and ended with Magical Kingdom (relive (dare I say it?) 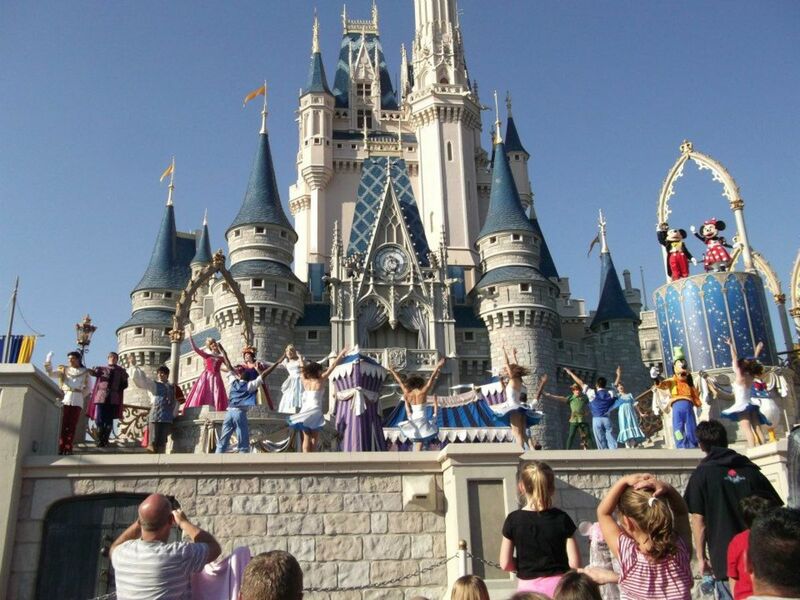 the magic of Walt Disney World. I must say I am surprised I didnt' bump into this sooner smiles. 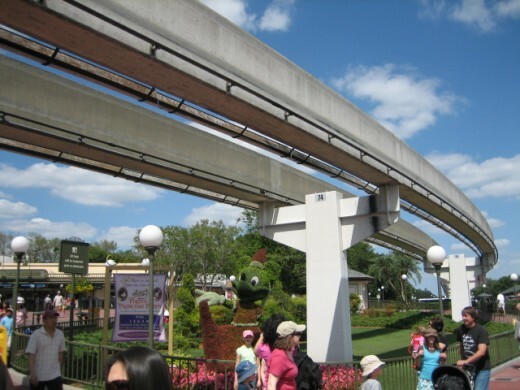 Love the way you captured your trip with some great pics .. we tend to be running so much that only pics get caught in our heads lol ... great idea with starting with Magic Kingdom first .. I might suggest book ending your trip by starting and then ending it with magic Kingdom .. grin. Thanks so much, Lily Rose. Yes, I did take most of these pictures. I wish I was able to travel to more so I could take more pictures. 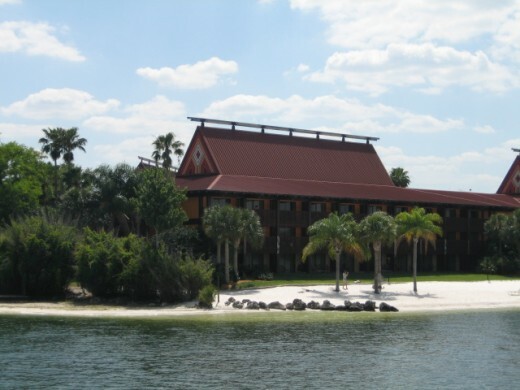 I'm actually planning to go back to Orlando in the spring of 2011 with the family again. Going there reminds me time and again just how much I want children. However, the girl I'm seeing doesn't want children unfortunately. Reading your comments just reinforced this idea, lol. Epcot is by far my favorite--It just seems more geared towards adults, wouldn't you say? I'd love to have your camera! Right now, the camera I do have is a Canon Elph. It's portable, takes great macro pics, but it's no SLR. One day I will have one, courtesy of Google AdSense! Thanks so much for reading this, Lily Rose. I'm glad you liked it and am doubly glad you liked the pics. I literally had hundreds to choose from. I hope I get my dream camera by the time I visit Disney World again! How funny - I did a search for Disney World hubs because we're going next month and I read through this whole thing without even realizing you were the author, Dohn, until I got to the comments! While reading, I was studying your pictures thinking what great photography and wondering where/how you stood to get the great shots you did; they really are terrific. You're write-up is fantastic, too! I went to college in Orlando, so I've been to all the parks plenty of times and said I'd never go back again until I had my own kids to bring and now is that time - we're going for my oldest daughter's 5th birthday. I can't wait! Thanks for your great info, Dohn! I'm going to have to check out your other Disney park hubs; I think we'll probably do one day at Epcot and the rest at Magic Kingdom. I got a new Canon Rebel T1i for xmas (AND birthday, mother's day, anniversary...) and can't wait to put it to good use at Disney! Ha! Keep "checking" as it gives me traffic ;) I just "visited" Amsterdam by the way and thought it was an awesome review, although it might not be my cup-of-tea. Thanks as always, for reading me, buddy. the Emporium is big Dohn, I thought I read all your hubs already I have to check one by one LOL< but I emjoyed all this series, it is amazing and the pictures are all great and beautiful, I cant choose which one is better, they are all nice..
One of these days, I will have kids (working on it) with my wife (working on that too) and make my return to Disney World (you know the drill). Wow! You're good at photography too! (I usually chop people heads out the picture!) 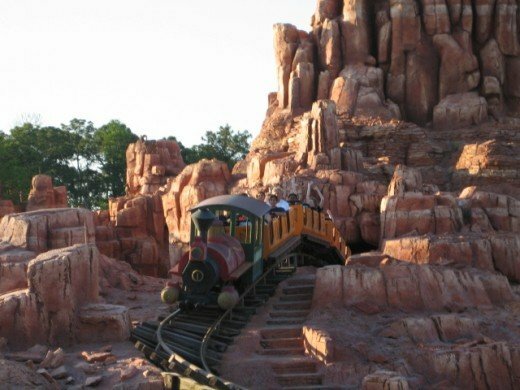 Don't tell me you took that one of Thunder Mountain train though...? It doesn't look like a good place to stand and take a photo Dohn...! I really enjoyed Walt Disney World all together. I hope that I can go there one day with little ones of my own ;) Yes, that music is still in my ears and I'm sure that if and when you do go back, memories will rush back to you! I did see Mary Poppins by the way! Would you believe more than half of these photos are mine? Another very thorough hub Dohn! Yes, I agree with you. Magic Kingdom is like the welcome mat to Walt Disney World. If and when I do have children, I'd really like to go back. Thanks again! 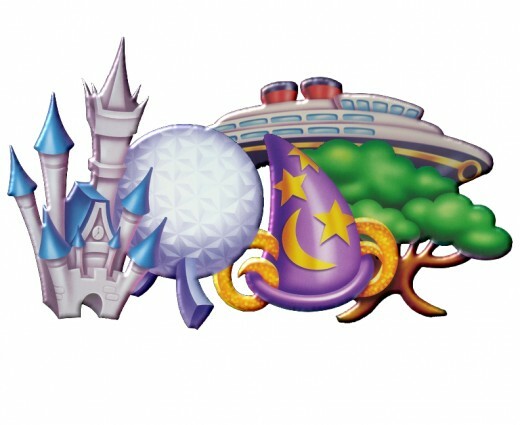 My family just went in June , and I agree to go to magic kingdom first, after that my favorite was Epcot. Thanks, Duchess! 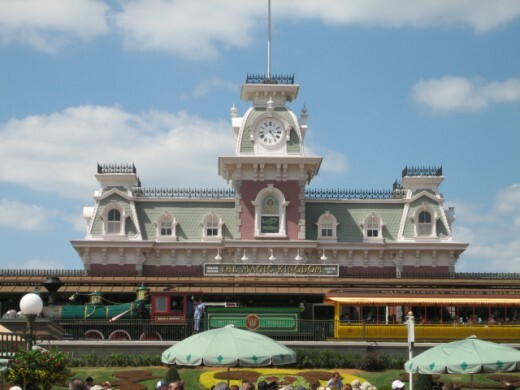 It wasn't until last year that I went to Magic Kingdom and absolutely loved it. I'm sure that if and when I do have children, I'll enjoy it because they'll enjoy it. Please make a point of going there. You won't regret it. Thanks dohn, I've never been, your pictures are great, they tell the story almost by themselves. Thanks, Ultimate Hubber! Some of these pictures were not easy to take! I had to break a few rules to get them! Next time I go, I'm going to have a really GOOD camera, like a Canon EOS with the really BIG lens...I can't wait! Trust me Dohn. Disney world should be thankful to you for taking such great pictures and writing such wonderful hubs. 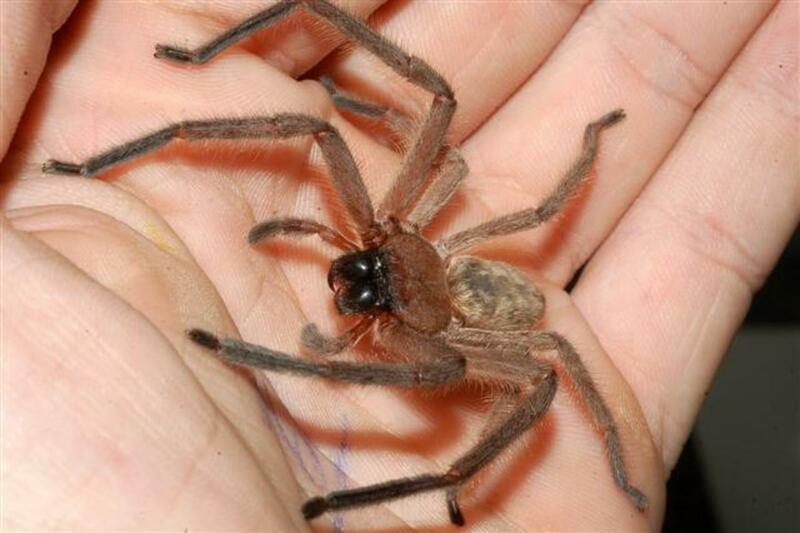 Thank you, Andromida. I'm glad that you stopped by! 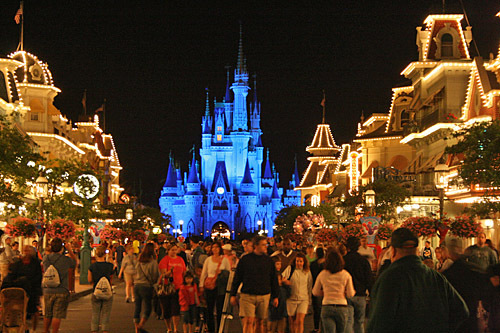 Hopefully you'll have the opportunity to visit Disney World one day. I really do appreciate the compliment, it's so good to hear! I should finish be all four parks by later today! 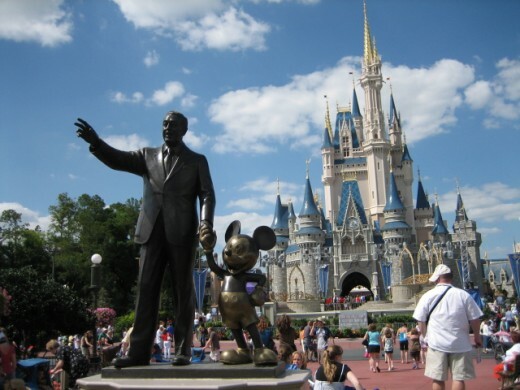 I never have the opportunity to visit Wald Disney World and even not knowing that there are four parks.Thanks for giving me this great opportunity to visit the Disney world online and I must say the pictures & video you have chosen are just fantastic. Of course you were there, Ms Chievous! You were in the movie! Definitely, I agree. 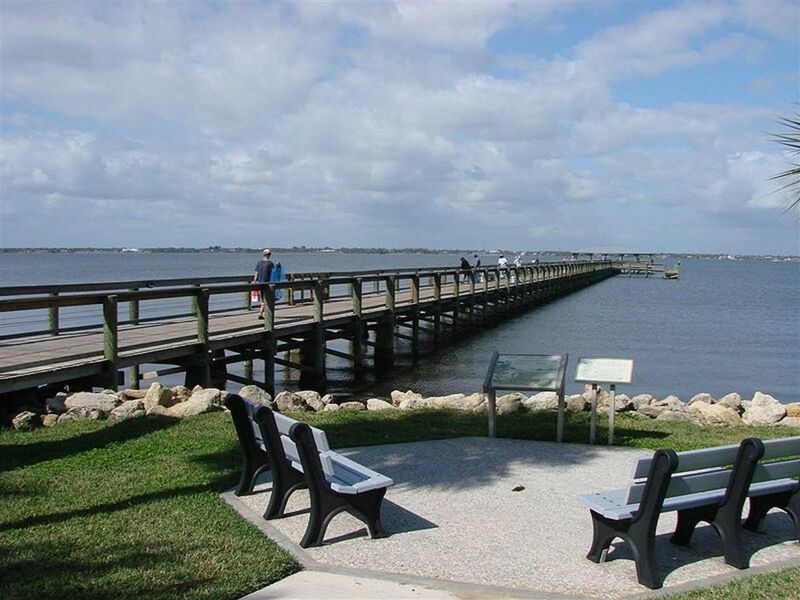 To really experience everything, you have to visit each park 3 times which equates to 12 trips total! That's why you'll hear about how families will go like 3 years consecutively. Thanks for dropping in! I was ther once and I know I did not get to experience everything. It is really a trip you need to do more than once!